It is April 10, 1995. Rose Young, an Italian-American, and Harald Zindler, a German, are sitting in Elsa’s Café in Amsterdam and trying to develop a Greenpeace campaign for the North Sea Protection Conference. Rose draws a curious construction on a beer mat. It is a picture of the Brent Spar drilling platform, which at this point is known only to a few workers of Shell Expro Ltd. and which is soon to be sunk in the North Sea. 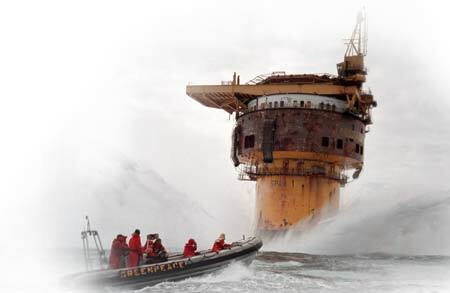 Fifty days later, thanks to the ideas and dedication of the legendary English Greenpeace captain John Castle and his crew, this 14,500-ton object has become a world-wide symbol of the environmental sins and arrogance of global corporations.